He’s controlled. Meticulous. Immaculate. No one would expect the proper Duke of Westmead to be a member of London’s most illicit secret club. Least of all: his future wife. Having overcome financial ruin and redeemed his family name to become the most legendary investor in London, the Duke of Westmead needs to secure his holdings by producing an heir. Which means he must find a wife who won’t discover his secret craving to spend his nights on his knees – or make demands on his long scarred-over heart. Poppy Cavendish is not that type of woman. An ambitious self-taught botanist designing the garden ballroom in which Westmead plans to woo a bride, Poppy has struggled against convention all her life to secure her hard-won independence. She wants the capital to expand her exotic nursery business – not a husband. 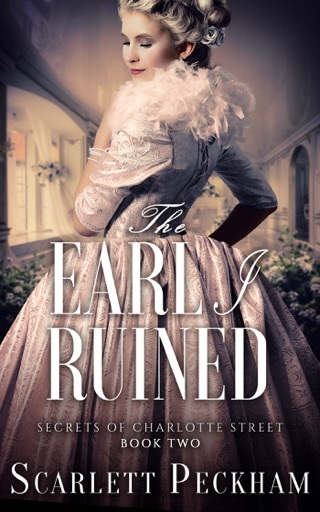 But there is something so compelling about Westmead, with his starchy bearing and impossibly kind eyes -- that when an accidental scandal makes marriage to the duke the only means to save her nursery, Poppy worries she wants more than the title he is offering. The arrangement is meant to be just business. A greenhouse for an heir. 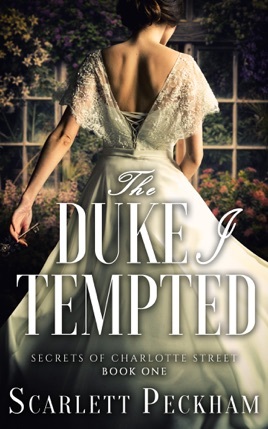 But Poppy yearns to unravel her husband’s secrets – and to tempt the duke to risk his heart. Loved the book. An unusual story with two unique main characters was a refreshing change of pace. I look forward to reading more from this author. I loved this book. I have been reading historical romance for over 30 years. So the plots sometimes blend together but not this book. It was different than any I have read. Very creative and grabbed at my heart strings. I really felt for both characters. I seriously can’t wait to read Constance’s story. Steamy with everything a romance novel should have…and a lot more. There is a depth of characters and setting in this book that goes way beyond the norm for the genre. The writing is superb and the story compelling and just flat out fun to read. I can’t wait for book two in the series!